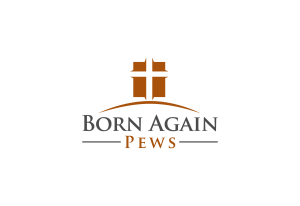 When you’re shopping for new church pews, it can be really helpful to know what the different parts are called so you can better communicate with your church pew company. One part that few people know the name of is the cap rail. A cap rail is a long piece of wood that is attached to the top of the church pew back. On this church pew, you’ll notice that the cap rail runs the entire length of the back of the pew. All of our cap rails are made out of wood, as are all other parts of exposed surfaces on our pews. 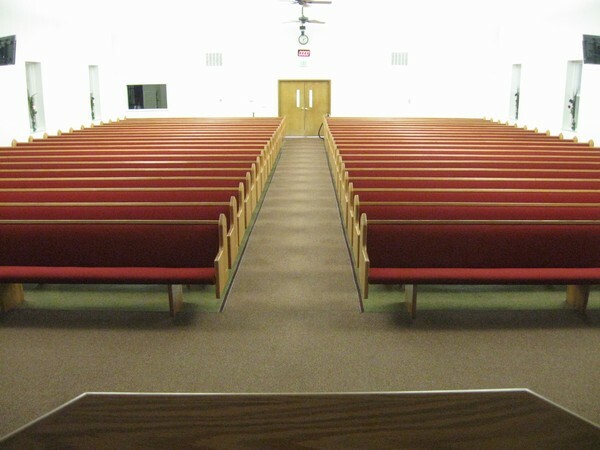 Other church furniture companies might decide to skimp on cap rails and exclude them entirely or use artificial wood or veneers to cut costs. While the cap rail is just a small piece of wood, poor quality here shows quickly. Think about it this way. You’re sitting in a church pew at Sunday services and looking in front of you, so you can see the back of the church pew. In your gaze towards the altar, you can see the cap rail in your line of sight. When you stand up, you might even reach to the back of the church pew in front of you, putting your hand right on the cap rail. If you kneel in prayer, your arms will rest on the cap rail. It’s easy to see how a poor quality cap rail can really stand out and ruin your new church pews. Quality isn’t just for looks either. Cap rails need to be sturdy and well installed because of how much they’re used during the lifetime of a church pew. A poorly installed cap rail on your church pew can not only be annoying but can even be dangerous if it comes off as someone is using it to stand up. Our high quality cap rails are included standard with all our church pews.